The odds were against Liverpool when they took to field on Sunday for their most important game in April. Manchester City had just blown away Crystal Palace at the Selhurst Park and had taken a one-point lead at the top of the table. With 5 games remaining, it was too close a margin for comfort. But Liverpool's biggest problem was that they were facing a Chelsea side who were fighting for the Champions League spot and as such, desperately needed a win too. History was not on Liverpool's side. The last time these 4 teams played together on the same weekend in April was in 2014, things had gone horribly wrong for the Merseyside club. With the game still at 0-0, a Steven Gerrard slip had allowed Demba Ba through and Chelsea had subsequently won the game. Liverpool had been fighting for the league that seasons too and Manchester City had taken advantage to get their hands on the trophy. 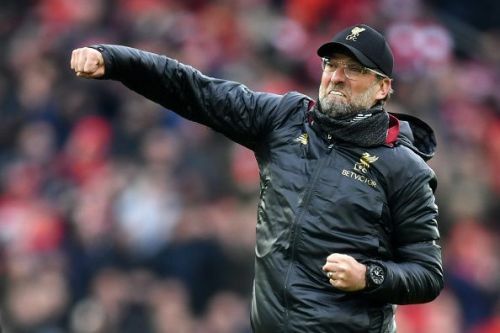 Klopp definitely had all these running in his mind, but on the field, he set out Liverpool in such a fashion that they showed no signs of nerves. They were clinical in their efforts and showed the world why they are worthy contenders for the title. In the end, goals from Sadio Mane and Mohamed Salah early in the second half sealed all three points and kept Liverpool in the hunt for the trophy. 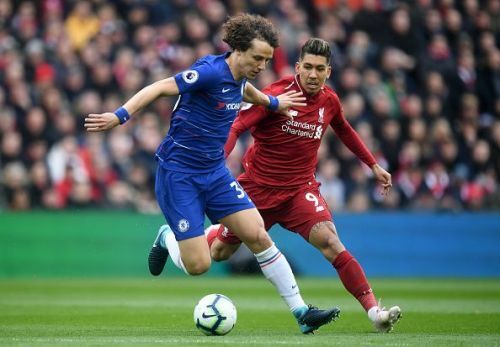 While the result highlighted a clear cut win, extensive planning and tactical decisions enabled Jurgen Klopp's team to get the better of Maurizio Sarri's Chelsea. Today, we take a look at the 5 tactics from their German Manager that won the game. Right from the kickoff, Liverpool were on Chelsea's case like wildfire on a rack of dry leaves. Barring the two central defenders, every Liverpool player went out of the way to pile up the pressure on the opposition nearest to them. Every time a Chelsea player had the ball, there was a Liverpool man rushing towards him. This continued throughout the game and unsettled the visiting side. The pressing was initiated by Firmino at the top of the pile and every other player followed suit. If the first press was good, Liverpool were also successful in shutting out passing options for Chelsea. This resulted in Sarri's men handing over possession easily to Liverpool, who then used the ball to their advantage. These tactics have been used by Klopp in most of his games and against Chelsea too, it worked like a charm.